Yes, it’s cold outside, but how about a new pair of shoes to help you get into a “beachy” mood! Our friends at Indosole have designed a shoe that literally means “beach”. 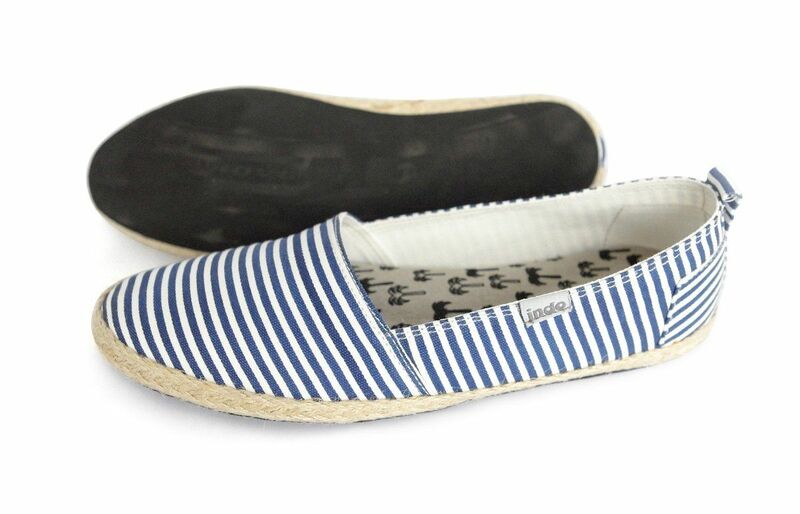 Their new Pantai Travel Shoes (pantai translate to beach, in Indonesian) are a fun espadrille style slip-on that is so easy-breezy on your feet AND on the environment. One of the things that we especially like about these shoes is the fact that they are handcrafted with a sole made out of re-purposed tires! Tires take thousands of years to decompose or just as bad, they are sometimes burned as a cheap alternative to fuel, releasing toxic oils and fumes. Yuck! The very clever folks at Indosole have figured out a way to take those tires and give them new life in the form of ultra-durable soles for cool shoes. Each one is unique – the pair that we received were made with Dunlop tires! Not only do these shoes look great, but they are machine washable and come with a half inch, removable footbed for extra comfort. So for a fantastic pair of comfy, casual shoes that are very much eco-friendly, check out the Pantai Travel Shoes from Indosole!